During the 2016 political season, disability has become one of the main talking points for voters. And, while I detest disability being used almost like political contraception, it is nice to have some representation taking the main stage in what has become a toxic series of lies and fear mongering. It started with Donald Trump making fun of a disabled reporter and Secretary Clinton parrying by not just responding, by making disability issues and activists a focal point at the Democratic National Convention. 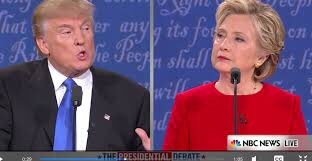 Since that moment, Donald Trump has systematically been pointing towards disability or illness to disqualify Clinton from being Commander in Chief—all that without actually saying the words. Instead, he questions her “stamina” in her ability to lead the nation. Any person with a disability who has ever sat through a job interview knows the code employers use to hint at an interviewees disability as a reason they cannot do the job at hand. I once sat through twenty minutes of a woman asking me how I could have possibly gotten to the interview without a car. For those of you curious, I was living in New York City and took the bus. According to the Bureau of Labor, over 80% of disabled people are unemployed. Aside from the many institutional reasons for this high rate, bias still plays a large role. The American public rarely sees disabled people employed, let alone in leadership roles. For many, even the idea that Clinton could be sick or disabled disqualifies her from being president despite the administrations of James Madison and Franklin Delano Roosevelt. Judging by her first debate performance, Clinton clearly has the stamina to lead and hopefully, her elevation of the disabled community translates to greater opportunities for disabled employment while in office. It is yet to be seen whether or not her opponent will address disability issues at all during the campaign. Very true, I was trying to be as mature as possible while writing about Trump in this. I managed an entire post without calling him a fear mongering, xenophobic cheeto with an English vocabulary way worse than that of groot. –wait, that doesn’t count right, lest we not forget I made it through the entire post!